University of Pennsylvania Press, 9780812215854, 364pp. Today, powerful political forces seek to make the Indian state Hindu. Their rising influence since 1980 has occurred during a period of radical change in Indian society and politics, and has been accomplished by electoral means as well as by organized violence. The 1996 elections will be a major test of their power and of the influence of Hindu majoritarianism among the Indian electorate. Animated by a sense of urgency that was heightened by the massive violence following the destruction of the Babri mosque in Ayodhya on December 6, 1992, Contesting the Nation explores Hindu majoritarian politics over the last century and its dramatic reformulation during the decline of the Congress Party in the 1980s. 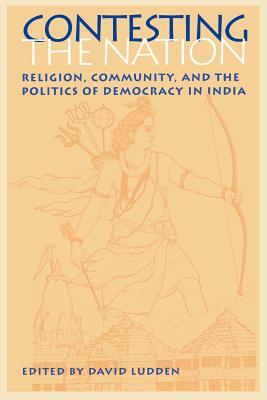 Twelve prominent scholars from India, Europe, and the United States provide perspectives from the fields of political science, religious studies, ethnomusicology, history, art history, and anthropology, comparing trends in India with ethnic, religious, and cultural movements in other parts of the world.